Currently residing in Saratoga Springs, Eichel graduated from Pratt Institute with a degree in graphic Arts, becoming a Madison Avenue art director for ten years.For seventeen more years, he worked in advertising as a “creative director”. Finally dropping out of advertising, he spent five years doing pencil sketches of local scenes. Prints of those sketches wound up in more than 350 galleries and frame shops across the country. Encouraged by their success, Eichel entered the University of Tennessee fine arts program. While a Tennessee resident, he was chosen as Tennessee Artist of the Month. Eichel paints on site. Many have seen him standing on a street corner painting a local scene that interests him and he actually enjoys answering questions and chatting with passers by. 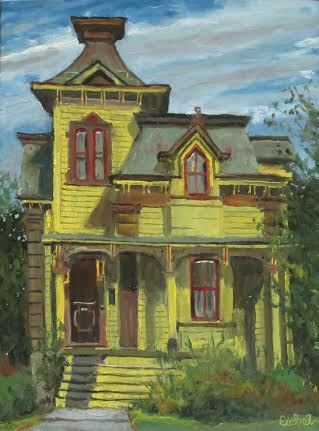 His work has been featured in many area galleries. You are currently reading Stu Eichel at oakroom artists.